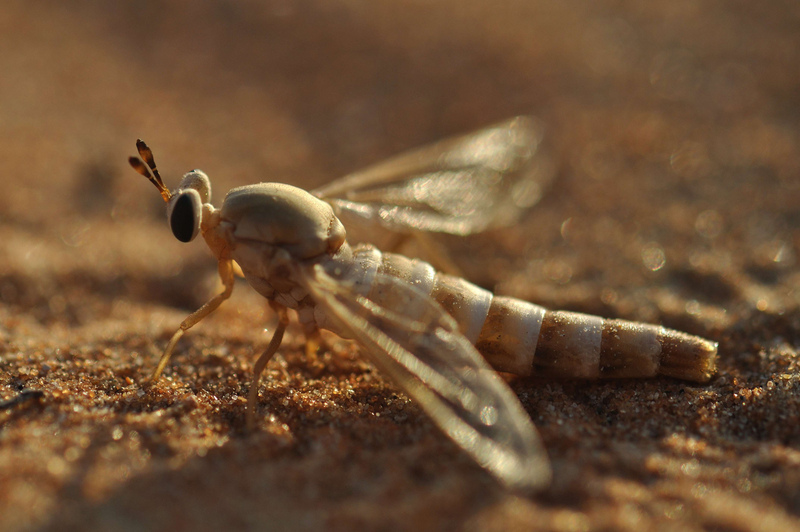 The Mydidae family contains almost 500 species, ranging in size from gosh, that's a big fly to RUN! RUN FOR YOUR LIFE FROM THE BLACK WINGS OF DEATH! THE SHADOW OF THE MYDAS WILL SWALLOW US ALL! That's about 6 cm (2.4 in) long for Gauromydas Heros, the biggest Mydas and the biggest fly in the world. Not so much Diptera as DipTERROR! At least the biggest ones are so loud in flight you can hear their wings buzzing from a mile off. All you need now is a sturdy bomb shelter. OK, having said all that... Mydas Flies are completely harmless and as far as anyone can tell, probably feed only on nectar. At least as adults. In terms of the sheer number of species, the Mydid family is quite small as insects go. It contains a paltry 400 species. That's not bad if you compare it to mammals, where the biggest family contains 700 species of mouse and rat. But insects? Even the mosquito family contains a good 3,500 species! I think Mydids would win in a fight, though. Despite the relatively small number of species, Mydas Flies can still be found in almost every part of the world. Most species are particularly fond of arid or semi-arid habitats. They're just too cool for all that jungle and rainforest so many other insects adore so much. 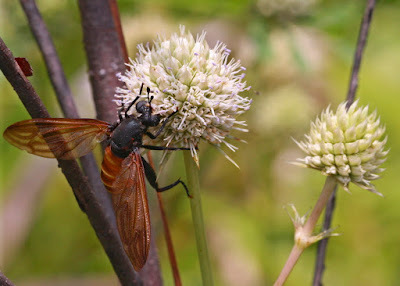 Lots of Mydas Flies are mimics of bees and wasps. This is a great tactic for a harmless, little... sorry... huge though harmless fly who visits flowers. Predators will leave them alone if they look just like one of the hurty-hurty sting-sting insects. They hurt and sting, don't you know. 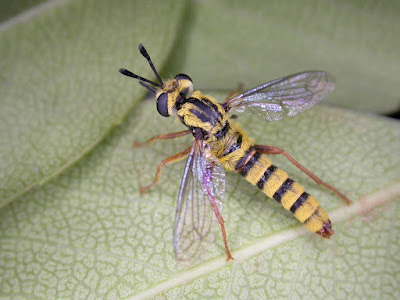 Smaller Mydas Flies of about 1 cm (0.4 in) long or more often bear the black and yellow stripes that lots of bees and wasps of that size use to warn onlookers of their ability to hurt and sting. Larger Mydids, the ones that are more like 5 cm (2 in) long, have to be a lot more specific. These are Mydas Flies that look like living, flying shadows, liberated from the night and spending their time visiting flowers and enjoying the sun. EVIL. Possibly EVIL on holiday, but EVIL nonetheless. 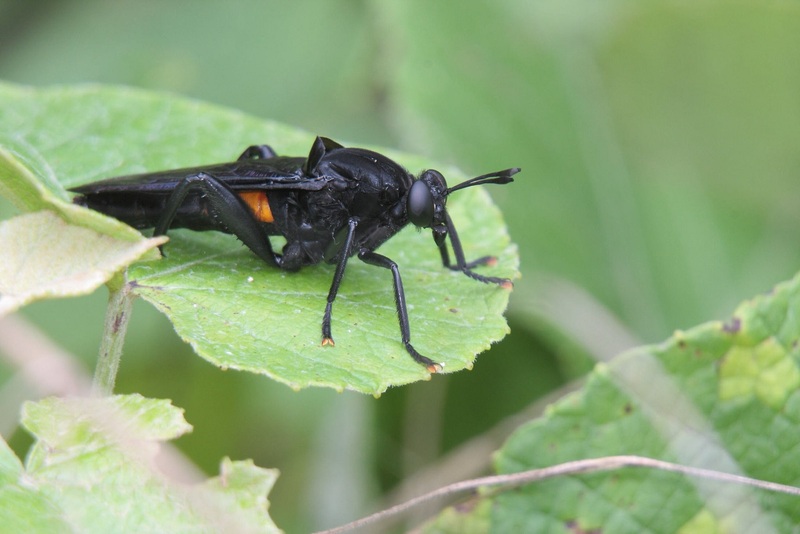 Mydas Flies like this are swathed in velvety black, often accompanied by bright orange patches, wings or antennae. They're mimicking big Spider Wasps like Calopompilus validus. Spider Wasps who bear painful stings and know it, too. When potential predators are nearby they don't fly off in a fright. They just stand there, going about their business like nothing's amiss. "It's more than your life's worth, mate," they say. Mydas Flies are so confident in their ruse they do much the same, just going about their day because no-one would mess with a giant Spider Wasp. To complete the effect they might even wave their long, wasp-like antennae up and down in a frenetic wasp-like way. No matter how well all this mimicry works, adult Mydas Flies don't seem to last long. A whole lot of species have scarcely been studied at all and remain shrouded in mystery, but it seems that these are the kind of insects that use winged adulthood purely to mate and lay eggs. The flower's nectar gives them all the sugary energy they need to fulfil their duties with proper vigour, though some Mydids bear reduced mouthparts and may not feed at all! At least as adults. And you know what all that means, right? It means big, fat, hungry larvae! Mydid larvae are again not very well known but they seem to be meat eaters who dwell among plant roots or rotten wood. 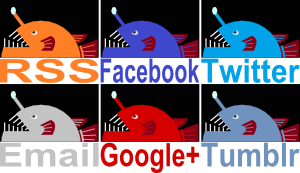 There they feast on the soft, protein-rich flesh of beetle grubs and the like. Thus, as is so often the case, it's the snotty-nosed children who are the real monsters.